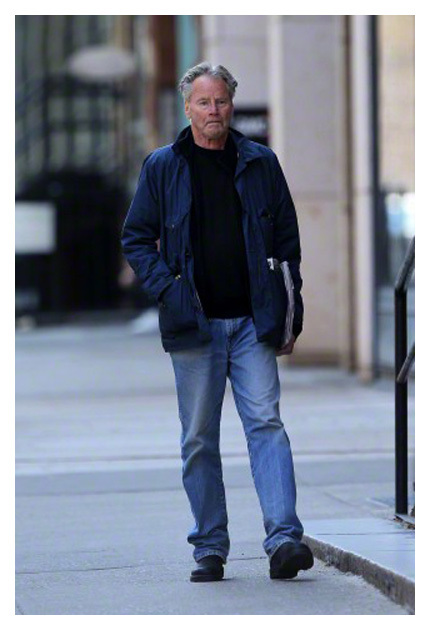 Michael Corrigan of Atticus Review, a weekly online journal, wrote an article called "Cruising Paradise with Sam Shepard" on May 12, 2015. Mr. Corrigan seems to mostly meander through his musings on Shepard but includes the following about working with him at a 1980 playwrights' festival in Marin, California. 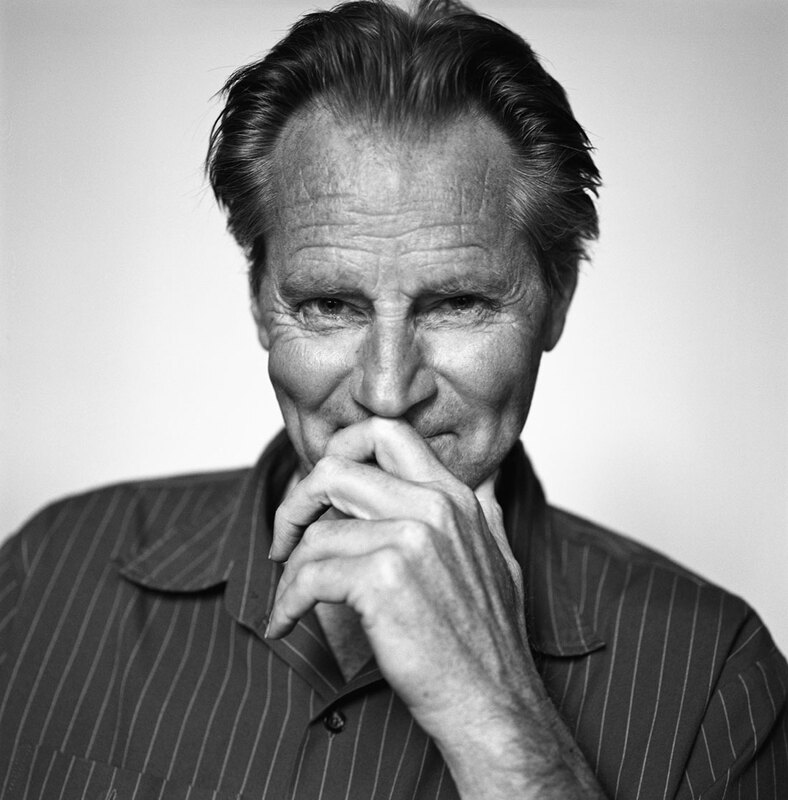 He writes, "When Sam Shepard appeared, a cinematic image of the moody but doomed farmer from 'Days of Heaven' came to mind. He seemed confident and shy sitting on the grass smoking an Old Gold cigarette, a bit reserved but polite... The paparazzi invaded the grounds on the last day of the festival, driven by a 'buzz' that an upcoming film called "Resurrection" would make Shepard a film star despite his crooked teeth. They treated him more like a celebrity than a playwright who had received a Pulitzer." I have long been intrigued with the tug between his status as a playwright and Hollywood celebrity. 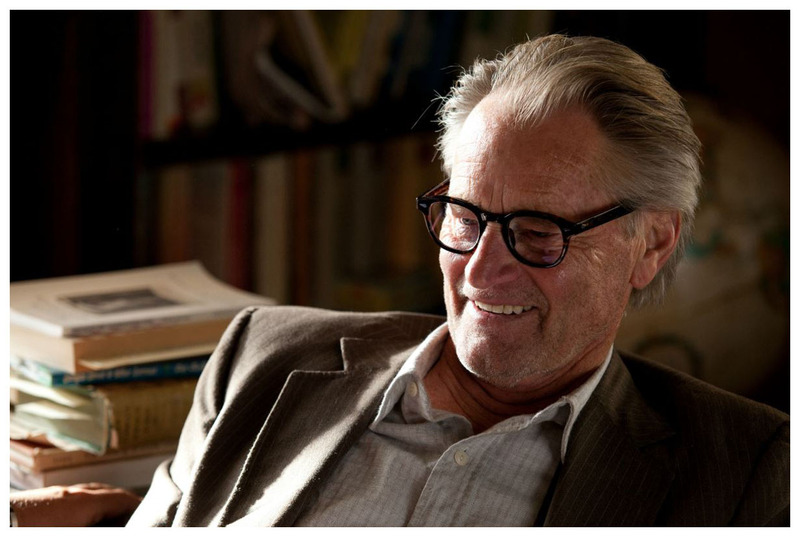 In "The Cambridge Companion to Sam Shepard", editor Matthew Roudané writes, "It is difficult to separate the playwright from the filmmaker from the actor. Shepard is unswervingly male, unaffected, and bright, but never polished or super-educated. Financial considerations may have led him to accept certain parts in film, and there are subtle differences in his characterizations; but primarily he has been selected for and/or has agreed to participate in projects in which the Shepard persona remains intact. He is the lean, handsome man of mystery with crooked teeth who seems to flaunt his distrust of artificiality." In the end, it seems impossible to disprove that once Sam stepped onto the big screen as a matinee idol, it may have resulted in Americans having a peculiar reverence for his stage plays, certainly among women. His international recognition has also possibly relied on the familiarity of his face. The debate will forever continue, but let's focus today on his second feature film, RESURRECTION, which I've just added to this Shepard archive. The spiritual drama, written by Lewis John Carlino and directed by Daniel Petrie, was nominated for two Academy Awards; one for Ellen Burstyn as Best Actress in a Leading Role and another for Eva Le Gallienne for Best Actress in a Supporting Role. Janet Maslin of the NY Times wrote, "The whole cast of Resurrection is outstanding. 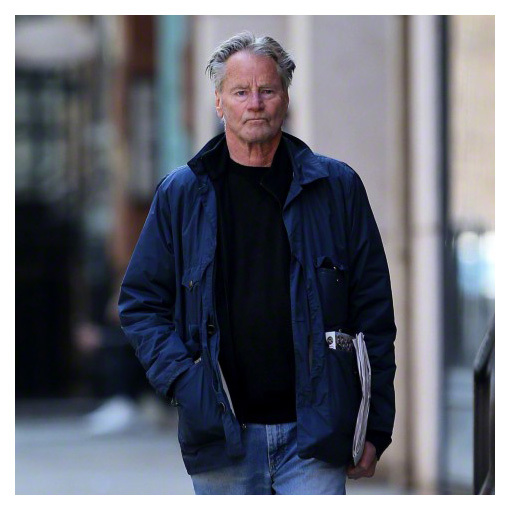 The playwright Sam Shepard, who showed such promise in Days of Heaven, realizes that promise here. As Edna's hot-tempered lover, he brings a keen, nervous alertness to the role, and a presumptuousness that turns very appealing." 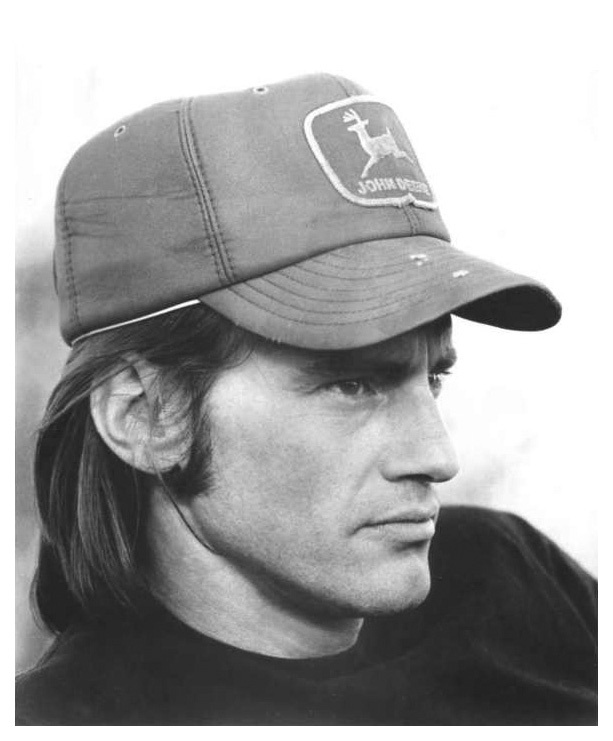 In his book, "Sam Shepard", journalist/critic Don Shewey describes Sam's role as Cal Carpenter as "a rowdy drunk in greasy jeans and a John Deere cap." He continues, "Shepard is wonderful in Resurrection, playing the punk side of the same James Dean-like persona that was so romantically doomed in Days of Heaven." Here's an interesting tidbit: It was right after leaving the Texas set after a 13-week shoot and heading back home in his truck to his family in California that Sam learned some exciting news. On April 16, 1979, a telegram arrived at his house in Mill Valley from the president of Columbia University - YOU WERE AWARDED PULITZER DRAMA PRIZE TODAY FOR BURIED CHILD. CONGRATULATIONS. 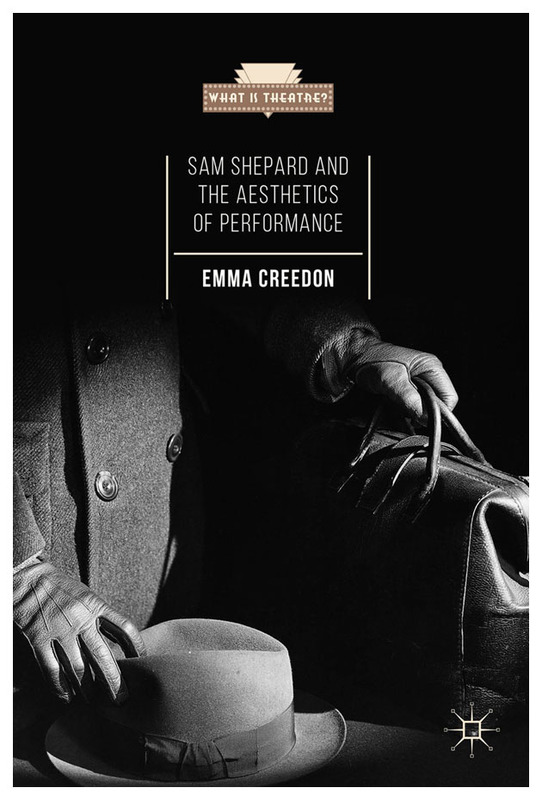 I don't know if Emma Creedon has ever met Sam Shepard or has seen any of his plays, but her resume indicates she has written a few papers on his works and given some conference presentations, including "Sam Shepard's Bromance with Ireland". Ms. Creedon teaches a wide array of English and Drama courses at University College Dublin and NUI Galway. She has a book coming out next month called "Sam Shepard and the Aesthetics of Performance". Palgrave Macmillan will release it on July 23, 2015. Is it me or is there a disconnect with that book cover? 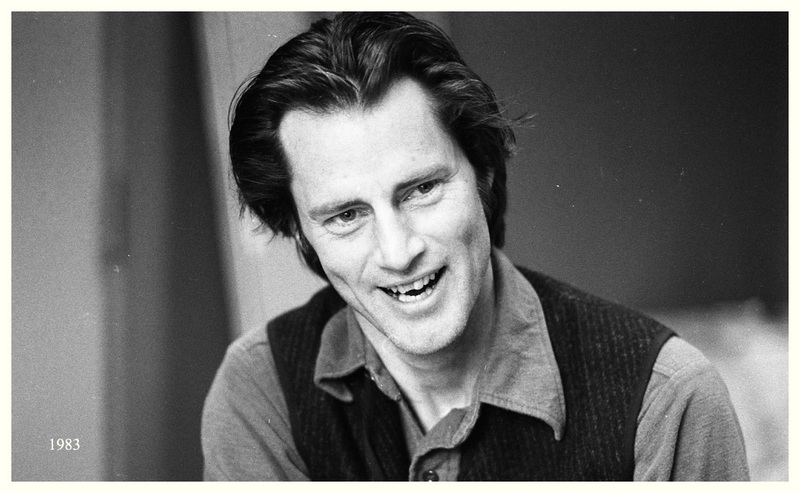 Here is the publisher's description - "This book argues that a consideration of Sam Shepard's plays in the context of visual and theoretical Surrealism significantly succours our understanding of his experimental approach. This study reveals how Shepard's plays rely on a veneer of realism that the playwright then actively exploits and rejects. In this mode, these plays indicate a sophisticated deconstruction of American realism and a manipulation of dramatic conventions; moreover, the incantatory functioning of his dramatic language reveals the influence of such Surrealists as Antonin Artaud. Indeed, this, along with his long admiration for and textual references to Samuel Beckett's plays, positions him as a dramatist working within the European tradition of Absurdism." There might be certain props that movie fans would be willing to pay big bucks for; say, Dorothy's ruby slippers. 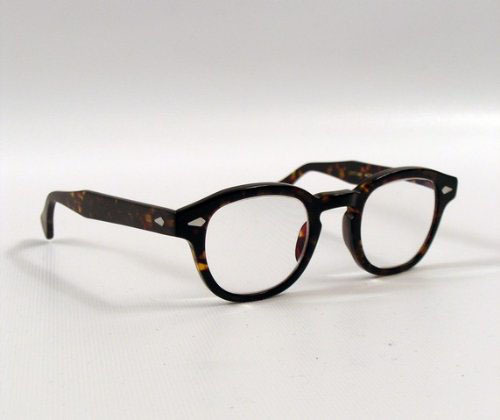 But who wants Sam's prescription tortoise shell glasses from "August: Osage County"? 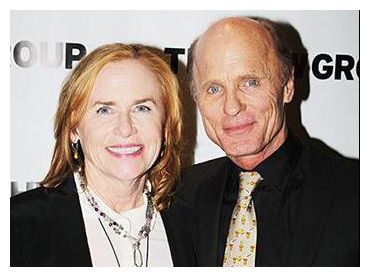 It has just been announced that Ed Harris and wife Amy Madigan will lead a revival of BURIED CHILD in an off-Broadway production at The Pershing Square Signature Center. Directed by Scott Elliott, previews will begin in February 2016 in The Alice Griffin Jewel Box Theatre. The 1978 Pulitzer Prize-winning drama will mark the play's first major production in New York in two decades. The play examines family and economic troubles through the lives of an Illinois farm couple. In an interview with Sissy Spacek for BLOODLINE, the Oscar-winning actress recounted her friendship with our playwright. 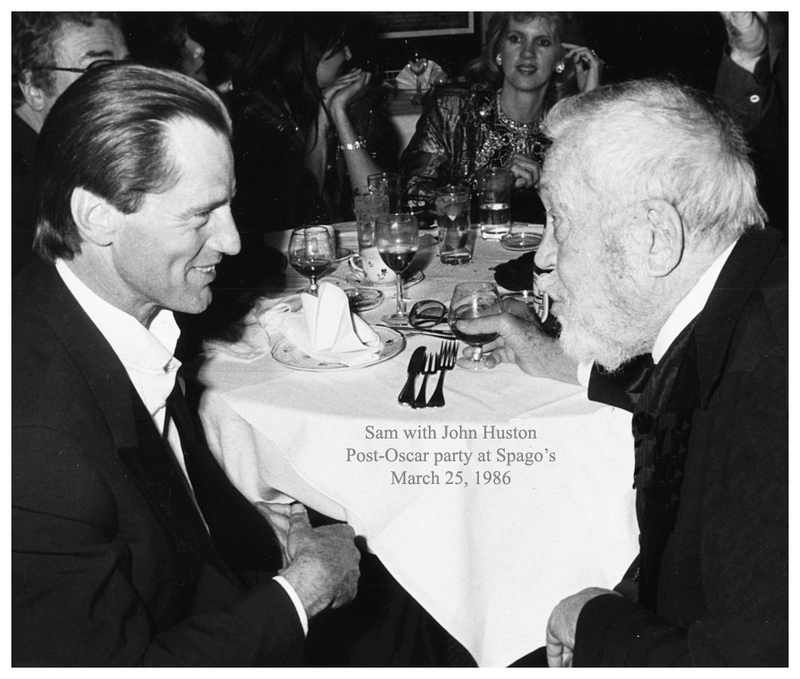 It was her husband, Jack Fisk, who initially introduced her to Sam. Fisk was the production designer on Terry Malick's 1978 classic, "Days of Heaven". Over the years Sam and Sissy have worked together on several projects. In the Netflix series, they play a longtime married couple. Sissy says, "We have a 40-year-deep connection. That was an amazing thing to function with somebody you know playing husband and wife." Last July Meg Ryan made her directorial debut with ITHACA. Based on the book, "The Human Comedy", written by William Saroyan, "Ithaca" is a coming-of-age story set in the San Joaquin Valley in California during World War II. Besides Sam, the cast includes Meg, her son Jack Quaid and Tom Hanks. The IMDB has posted a December 31, 2015 release date. Ms. Ryan is presently auctioning off a signed copy of the script to benefit a cancer charity. She hopes to raise cash for the Los Angeles branch of the Leukemia & Lymphoma Society. 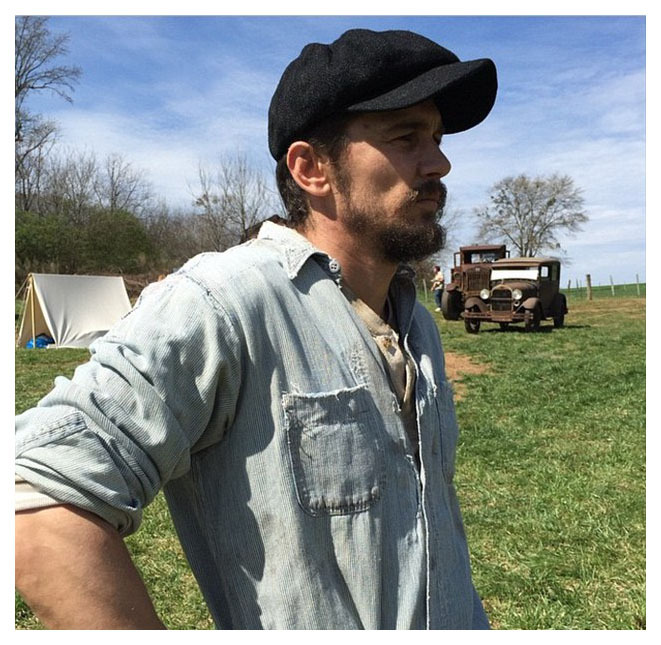 It appears that our playwright took on a bit part in James Franco's film, IN DUBIOUS BATTLE. 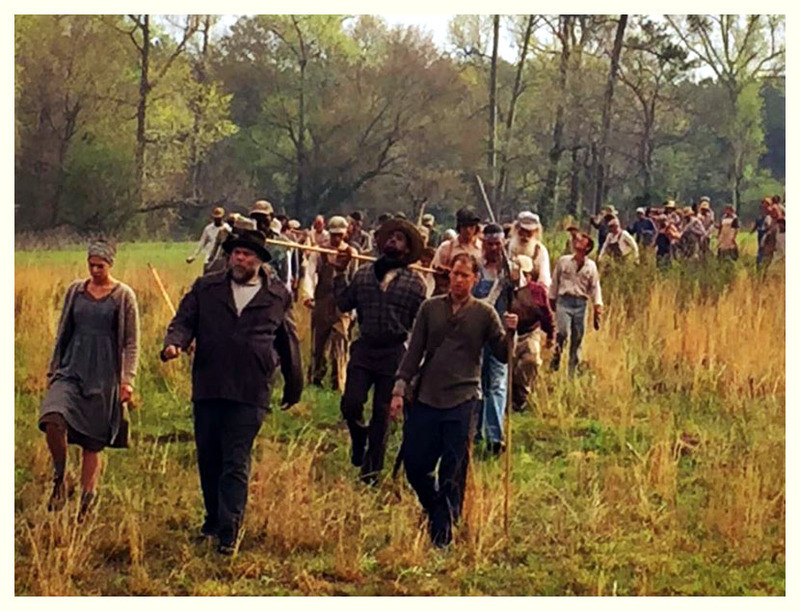 Filming took place in the Atlanta, GA area, specifically Bostwick and Senoia, during March and April. 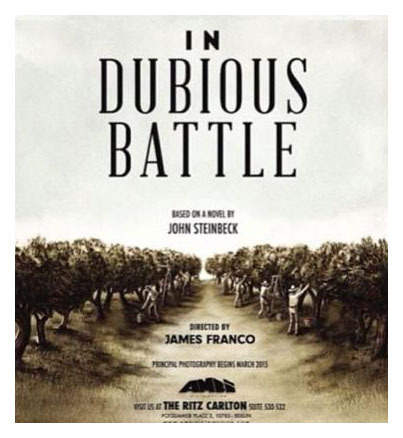 Published in 1936, "In Dubious Battle" is considered John Steinbeck's first major work. Set in a fictionalized valley in California, the story explores themes Steinbeck continued to develop: group behavior, social injustice, man's inhumanity to man - all themes which continue to be relevant today. 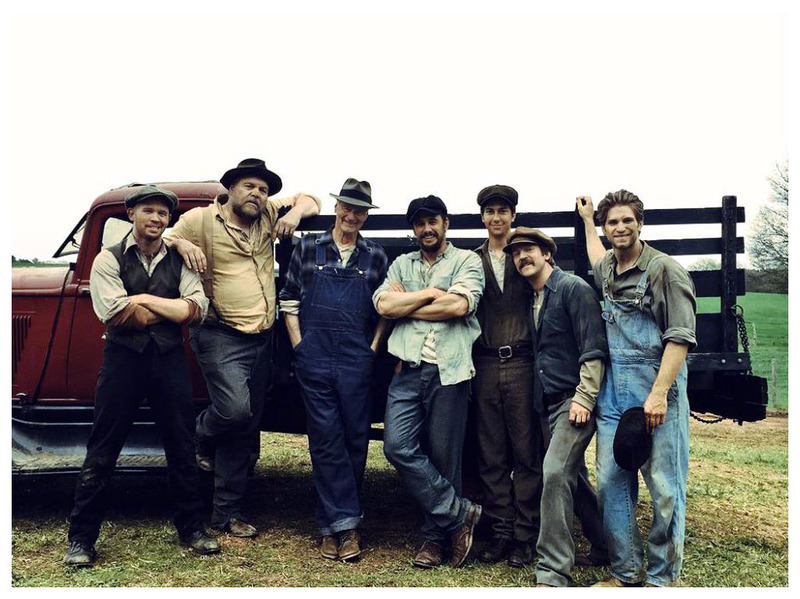 A labor conflict between migrant apple pickers and the local growers' association is the backdrop against which Jim Nolan (played by Franco) becomes involved in the labor movement and rapidly matures as he learns what it means to do organizational fieldwork. Writer Matt Rager adapted the feature screenplay based on the novel. 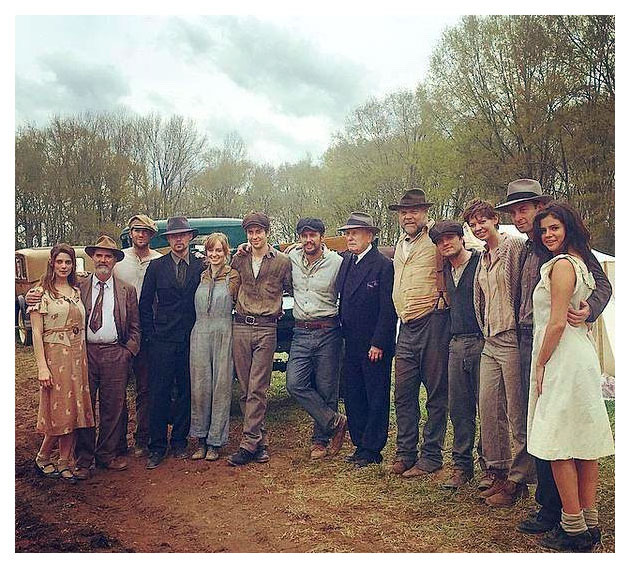 Directed by Franco as well, the cast also includes Vincent D'Onofrio, Bryan Cranston, Selena Gomez, Josh Hutcherson, Robert Duvall, Ed Harris and Nat Wolff. 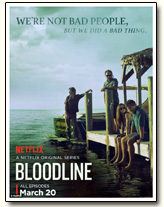 Netflix has just announced that there will be a Season 2 in 2016 for BLOODLINE. Alas, since patriarch Robert Rayburn died around the fifth episode, we will not be seeing Sam Shepard next season. Personally, I don't plan to tap into it because I wasn't thoroughly engaged in this new Netflix series. 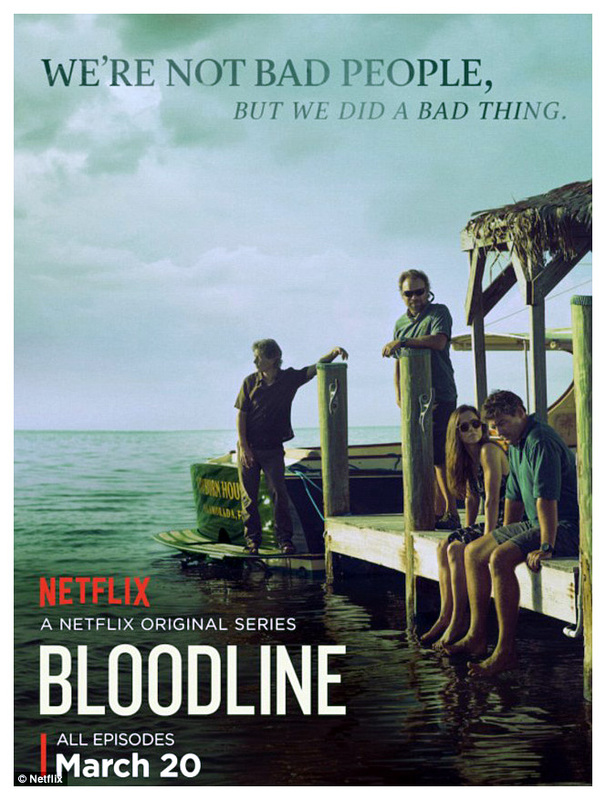 Rob Owen of the Pittsburgh Post Gazette writes, "Bloodline is one of those murky slow starters that doesn't draw viewers in as much as it strings them along, providing just enough clues to maybe keep folks around for the next episode. 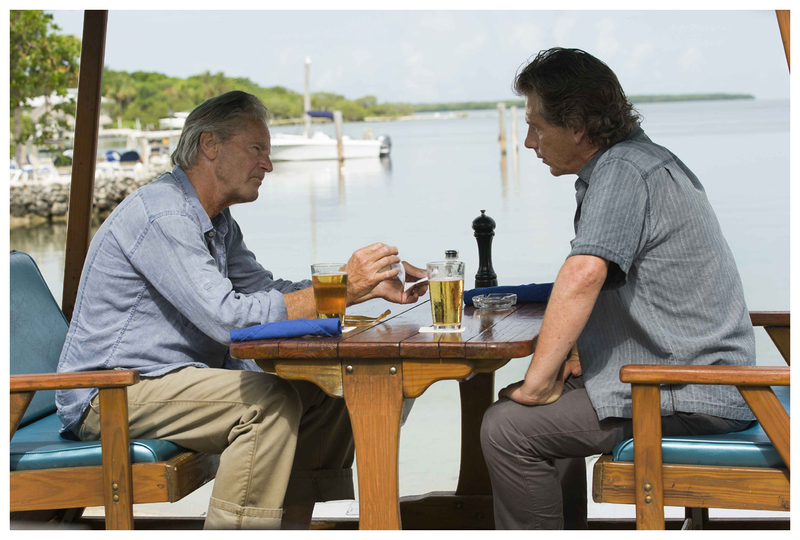 There's little urgency to the storytelling, which is as slow-paced and easy-breezy as lying in a hammock strung between two palm trees on a Key West beach." Yes, exactly! What was troubling and weird was that the death of the patriarch had little or no effect on the Rayburn family. It was almost embarrassing to watch the funeral. No one seemed to be emotionally connected though there was an air of solemnity. Even while Robert is hospitalized, visitors come and go but there is no devastation, no anxiety, no tears, not even by his wife (Sissy Spacek) when she finds him dead. Go figure. As for the characters, this is a family you will not like. Absolutely dysfunctional. They are an immoral bunch soaking up drugs and booze as much as the sun. I enjoy gritty dark family dramas but this one lacked anyone to root for. (Not even that ghost which should have been edited out). So disappointed. On the bright side though, it was fun to watch Sam play his ukulele and he did have one powerful scene with his son Danny as seen below. Danny is played by Ben Mendelsohn and he is one awesome Aussie actor! In an interview, cast member Kyle Chandler shared, "There was a scene where I was opposite Sam. He’s slower, older than he was. Now, my father passed when I was 14. In that moment, talking to Sam, it was like I was communicating to someone I haven’t seen in 30 years. Those are just great moments. As an actor, that’s what you want. Of course, you have to be working with great people — you can’t just put the guy from the hot-dog stand in there. You need to be working with someone of absolutely the best calibre." Every few months when Sam returns to the Big Apple, he's spotted with a new woman. The media has not indicated who any of these women are. They apparently come and go so on March 30th, there was another sighting outside the Bowery Hotel The gal accompanying him spotted the paparazzi and began packing on the PDA for the camera. Sam looks a bit reluctant at first if you look at his body language. Who, when and why will remain a mystery. 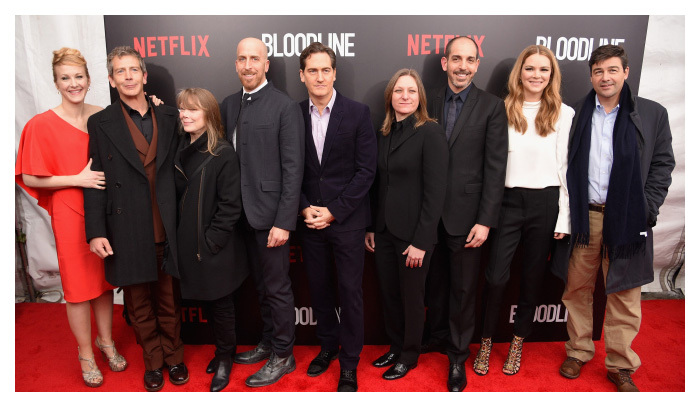 On Tuesday the upcoming Netflix series, BLOODLINE, had its NYC premiere at SVA Theater. 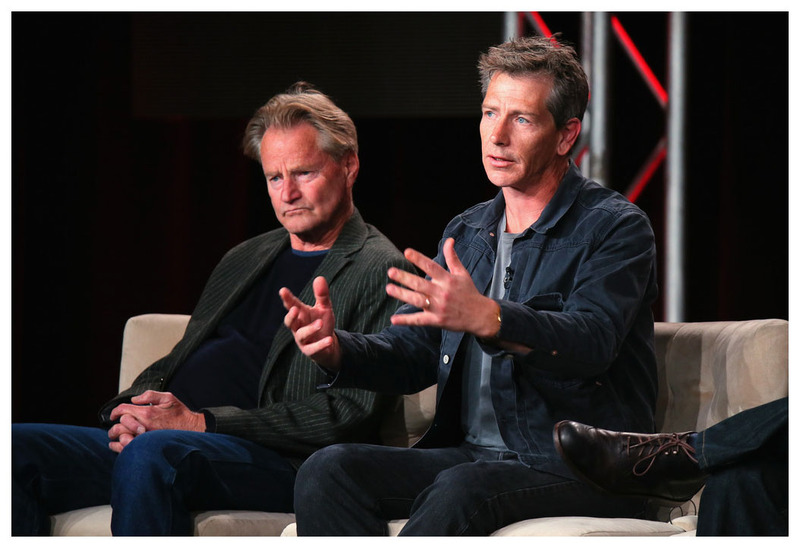 As you can see from the photo, Sam did not attend but those who did make the effort included Katie Finneran, Ben Mendelsohn, Todd Kessler, Glenn Kessler, Daniel Zilman, Cindy Holland, Sissy Spacek, Jacinda Barrett and Kyle Chandler. Todd Kessler, co-author of the drama discussed the casting of Spacey and Shepard who play the Rayburn parents - sweetly vague Sally and guitar-strumming Robert. 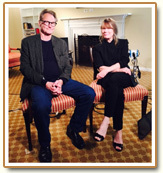 Kessler says, "When we set out to sell the show, we were describing the characters and we'd get to Robert and Sally and always say 'think Sissy Spacek and Sam Shepard.' So to then get them is just extraordinary." Sissy plays a no-nonsense businesswoman who softens around her children. In the patriarch role, Sam looms as a cold presence. Yes, well cast! 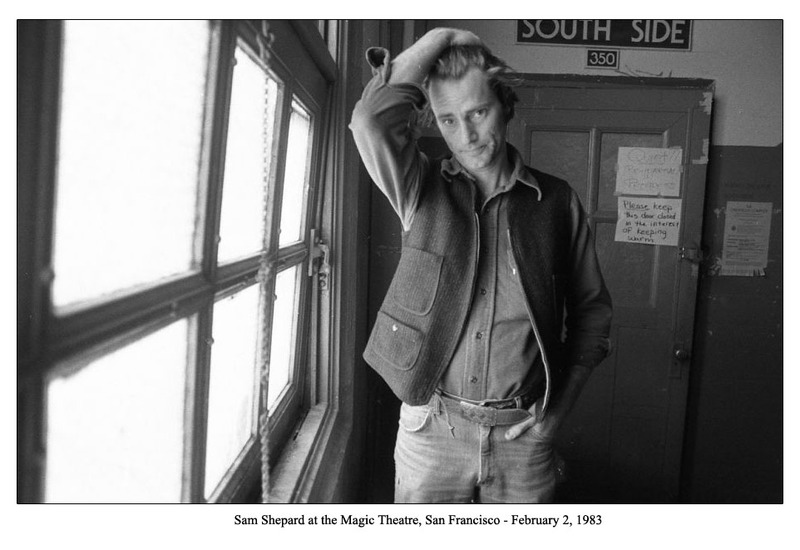 In 1975 Sam joined San Francisco's Magic Theatre as a Playwright in Residence. Three years later "Buried Child" received its world premiere at the Magic and was honored with the Pultizer Prize for Drama. That same year Sam and Joseph Chaikin's award-winning collaboration, "Tongues", premiered. More premieres followed - "True West" in 1980, "Fool for Love" in 1983 and "The Late Henry Moss" in 2000. Through the years several revivals were staged, the latest being "A Lie of the Mind" which opened last Wednesday. 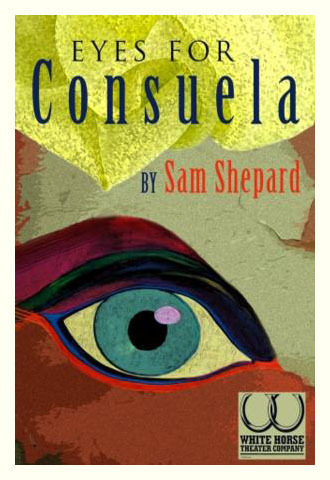 The White Horse Theater Company is set to present Sam's rarely seen play, "Eyes For Consuela", from February 6-21 at the Gene Frankel Theatre (24 Bond Street). The four-person drama surrounding the nature of love, loss and separation in a dreamlike Mexican landscape will be directed by Artistic Director Cyndy A. Marion. Based on the short story. "The Blue Bouquet" by Mexican writer and Nobel Prize-winner Octavio Paz, the play depicts the mid-life crisis of Henry, a lost American soul, as he wanders the dreamlike world of a remote Mexican jungle. Estranged from his wife, Henry escapes to Mexico to "find himself" instead encountering Amado, a Mexican bandit who wants to cut out his eyes. According to Amado, blue eyes are the only thing that will make his lover Consuela smile. In a fierce battle of wills, Henry and Amado come eye to eye with their inner demons, the true nature of sacrifice and what separates them from the women they love. Back in 1998 when the play premiered at the Manhattan Theatre Club, John Heilpern of the New York Observer wrote, "This is such a slack little play from the author of True West, Fool for Love and Buried Child that one wonders what’s got into him" and the review concludes with "Eyes for Consuela is dispiritingly earthbound, and Mr. Shepard’s notion of magic realism is merely neurotic." Mr. Heilpern obviously was not enchanted with the play but neither were Ben Brantley or Vincent Canby of the NY Times. However, to each its own. Fintan O'Toole of the NY Daily News is charmed. He writes, "As so often in Shepard's brilliant 35-year mostly Off-Broadway career, reality and fantasy, the mythic and the mundane, seep into each other. The feel of the play can be imagined from the short cryptic story by the Mexican writer Octavio Paz that Shepard uses as his springboard... 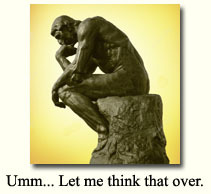 Instead of explaining an enigma, Shepard deepens the mystery. He takes us into a feverish sweat-soaked atmosphere where the borders between past and present, the physical and the imagined, dissolve. In lesser hands, the play could easily be a ridiculous collision of cliches. It follows the familiar pattern of a rich, jaded U... The action is made to move with the dreamy, enraptured serenity of an ancient tale re-told. With such delicate telling, this very tall story is utterly enthralling." 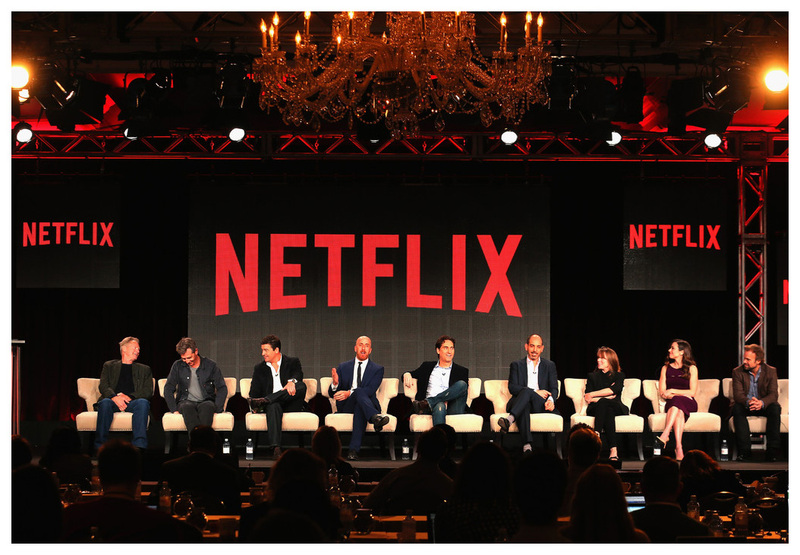 Yesterday the production team of BLOODLINE, Netflix's new series, took part in the TCA Press Tour at Langham Hotel in Pasadena, CA. 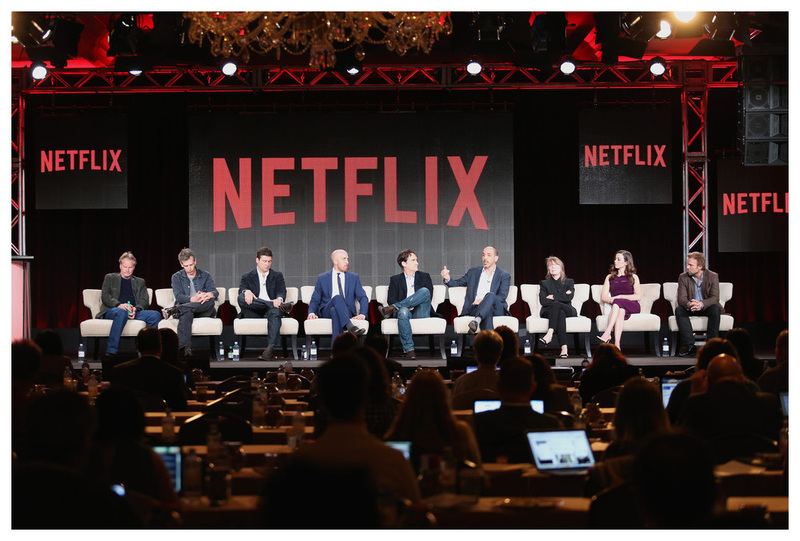 The panel, as pictured below, included (L-R) Sam, Ben Mendelsohn, Kyle Crawford, Todd A. Kessler, Daniel Zelman, Glenn Kessler, Sissy Spacek, Linda Cardellini and Norbert Leo Butz. All 13-episodes will premiere on Friday, March 20th. The producers say the show's origins stem from their own large families, and how siblings' roles in them are often pre-ordained in childhood and difficult to shed. 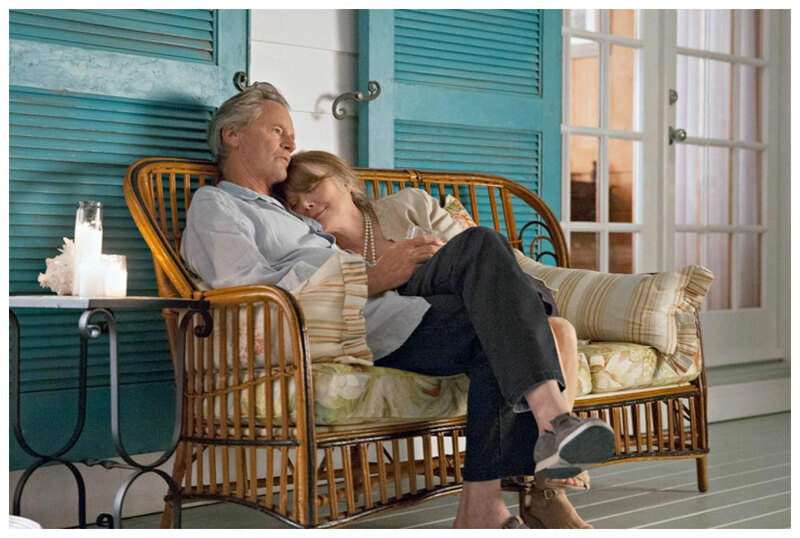 The combination family drama and psychological thriller is about a divided family of innkeepers (Sissy Spacek & Sam)whose four kids are torn apart when the black sheep son (Ben Mendelsohn) returns home to the Florida Keys, dredging up memories of a long-ago tragedy and inciting new ones. Linda Cardellini plays the youngest, Norbert Leo Butz is a hotheaded middle child who carries a grudge, and Kyle Chandler is the level-headed town sheriff. San Francisco's Magic Theatre continues its "Sheparding America" celebration with the revival of A LIE OF THE MIND. The family drama of spousal abuse was described by the New York Times as "A 20th century masterwork... to be compared with O'Neill's 'Long Day's Journey into Night' and Pinter's 'Homecoming'." The play will be staged by Magic's Producing Artistic Director Loretta Greco and will run From January 28 through February 22, 2015. 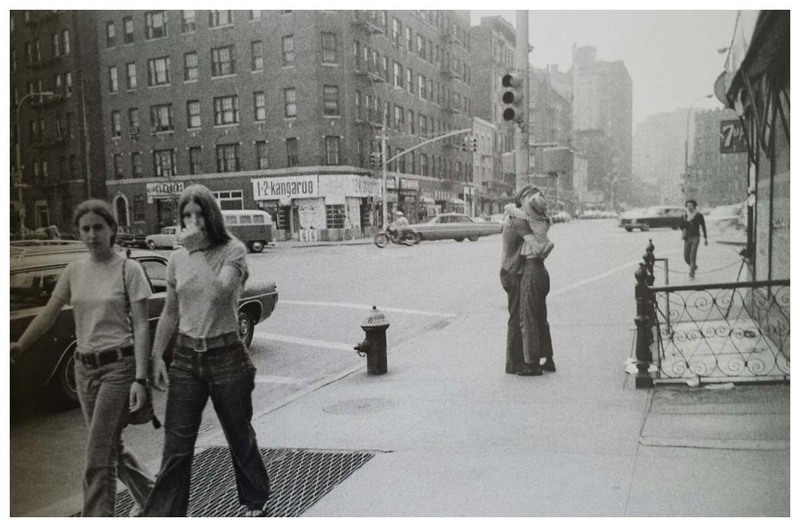 The first production was staged at the off-Broadway Promenade Theater on December 5, 1985. It was directed by Sam and had a noteworthy cast with Harvey Keitel as Jake, Amanda Plummer as Beth, Aidan Quinn as Frankie, Geraldine Page as Lorraine, and Will Patton as Mike. When the play was revived in a 2010 Off-Broadway production directed by Ethan Hawke, Sam shared his thoughts - "I've come to see it as a bit of an awkward play. If you were to talk about it in terms of cars, it's like an old, broken-down Buick that you kind of hold together to just get down the road. All of the characters are in a fractured place, broken into pieces, and the pieces don't really fit together. So it feels kind of rickety to me now." More photos from that November 23, 2014 sighting of Sam walking in Soho with that mystery woman. In true fashion, Sam flashes his middle finger as he passes by.